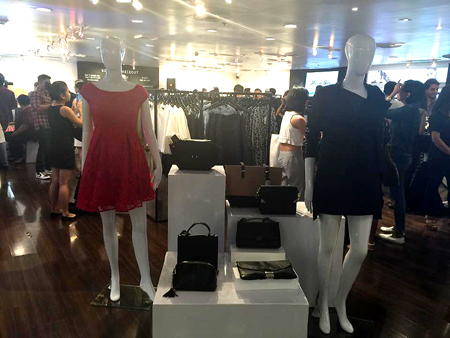 A Zalora pop-up shop? It's happening! It's the first ever digital pop-up shop in the country. (SPOT.ph) Online shopping can easily be anyone's weakness. You know you're lying to yourself when you say you're just going to go "online window shopping" in the middle of the night and that you're just going to "add to wishlist." The next thing you know, you have 936,295 things in your shopping cart, and you're a button away from purchasing all. Yes, it's very convenient to have a virtual shopping mall, but it's still not the same as seeing the clothes IRL and being able to try them on before purchasing. For those who are a bit iffy about online shopping because you're not sure if you're getting the right size or if the quality is good, we have awesome news for you: the Zalora Digital Pop-Up Shop—the first of its kind—is now open at the 5/F Shangri-La Plaza mall. Yup, Asia's online fashion destination just got physical (see what we did there?). See their well-curated fashion line, including homegrown and international brands, before your very eyes! It's exactly like online shopping, but better—you get to fit the clothes! The best part? You won't have to carry big shopping bags because they will deliver everything straight to your doorstep in one to three days! You can order your clothes directly through your mobile app, or use one of their check-out counters. 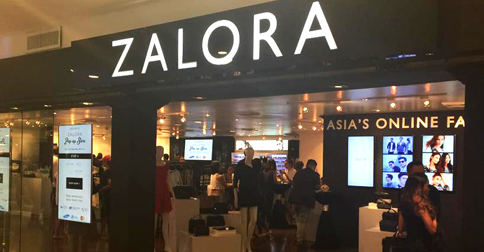 The Zalora Pop-Up Shop is open until September 2015 only.